Every college sports fan enjoys an NCAA and College Shop gift. 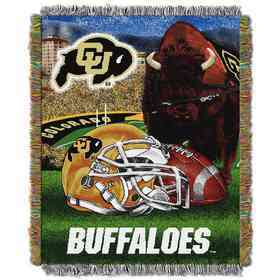 Support your team while staying cozy with this Colorado Buffaloes comforter and sham set. The set features the school name, logo and establishment year in the center. The soft comforter and 24" x 30" shams are made of 100% polyester and are machine washable. Officially licensed by the NCAA. Manufacturer direct from a trusted supplier.